FPGA samples in ceramic quad flat pack available in radiation hardened form with low pin count for space applications. 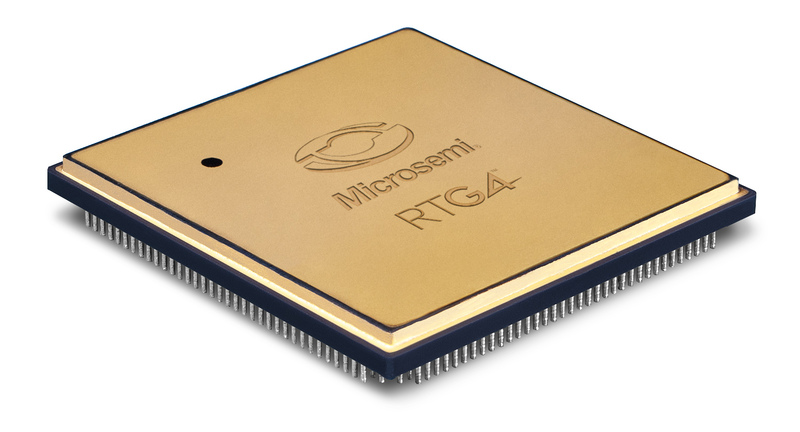 Microsemi has introduced its RTG4 high-speed signal processing radiation-tolerant field programmable gate array (FPGA) engineering samples in a ceramic quad flat pack (CQFP) package. The new CQ352 package, which conforms to the CQFP industry standard for space applications, features 352 pins to enable a more cost-effective integration than higher pin count packages and is the only CQFP package available for high-speed radiation-tolerant FPGAs in its class.